I am very behind on my blogging, so I'm playing catch up with the garden photos. 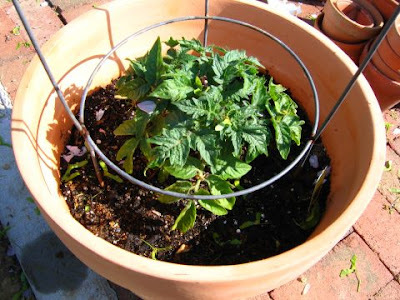 So far the patio tomato plant is looking good. 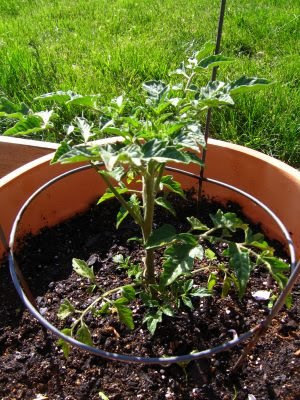 As is the yellow pear tomato plant. 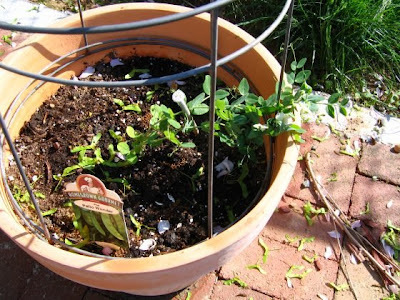 The patio wonder peas are kind of unruly and I'm having a hard time getting them to climb instead of laying down. 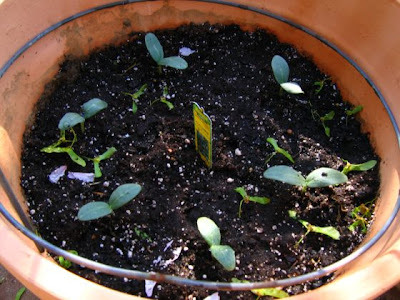 The cucumbers are also doing well in their new roomier pot. This pear tree was suppose to be a dwarf...it grew well over ten feet tall. 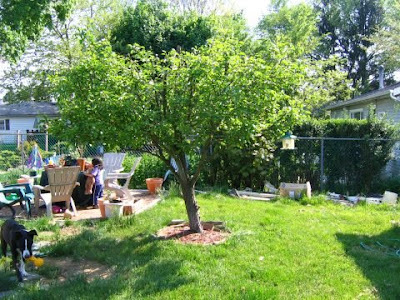 I read up on the proper shape and pruning of fruit trees and decided to lop off the top. I wound up cutting off a lot of flowers, but I think the tree will be better for it, especially since the bigger it got the fewer pears seemed to grow. I've never had much luck with regular basil. 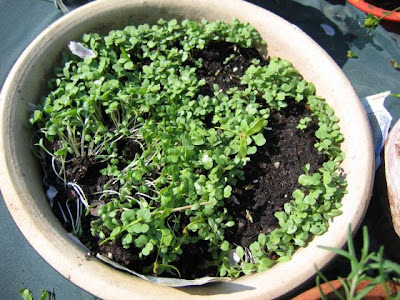 Usually it would grow really great, then die a week later. 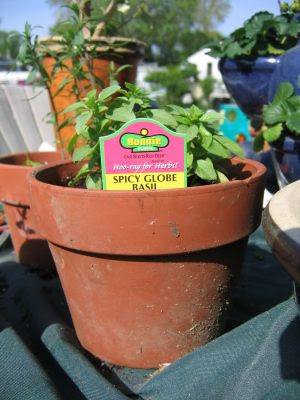 So I've decided to give the spicy globe basil a try. 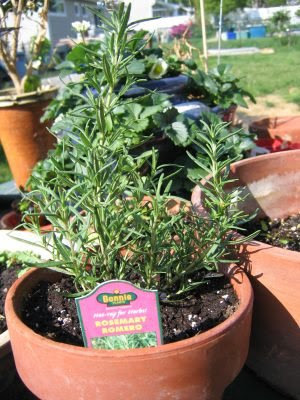 I was going to do a rosemary topiary, but decided to go with a regular lower-maintenance option. 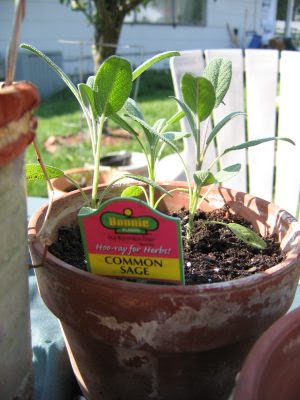 Never tried sage before, let's see how it does. 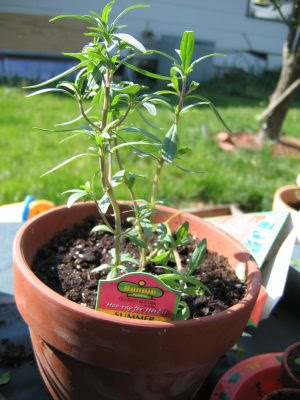 I've never used summer savory in anything, but the description on the label looked like it would be a great addition to our herb garden. 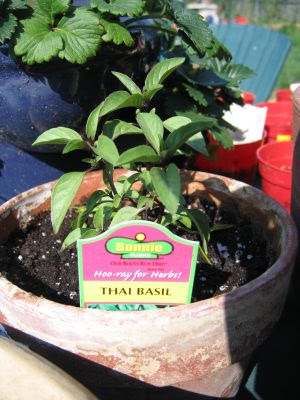 I can never find Thai basil anywhere, so why not grow it myself? 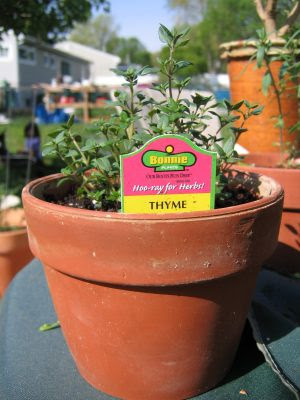 I use a lot of thyme, hopefully this one plant will be enough. 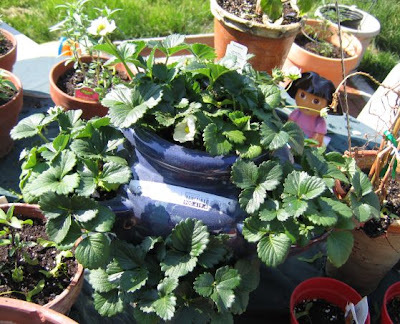 Look at the pretty flowers on my strawberry plants! 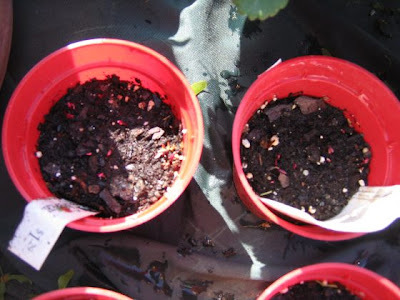 And the beets are starting to sprout. Still nothing going on with the corn, carrots or spinach, but it's still early.